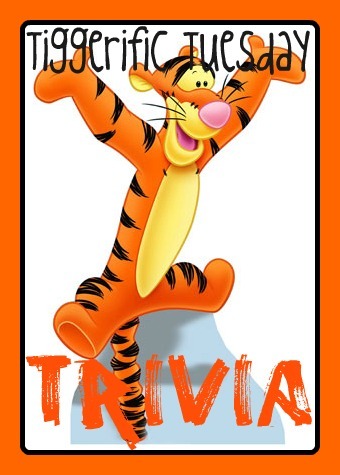 Disney Babies Blog: Tiggerific Trivia Tuesday! Welcome back for a Happy New Year 2013 edition of Tiggerific Tuesday trivia! In honor of New Years, I wanted to share my family tradition for New Years Day: Chili. I'm not sure why, it's just what my mom always made! For more Walt Disney favorites and recipes, check out this USA Today article by Jim Korkis, author of Vault of Walt! Great trivia! Walt's chili recipe is in the new cookbook I received for Christmas too. That sounds delicious! We have the 'ol black-eyed pea tradition here in TX, but maybe I'll try this chili recipe tomorrow. Thanks for sharing & thanks for hosting!